The death toll from one of the strongest storms on record that ravaged the central Philippine city of Tacloban is feared to reach 10,000 people. 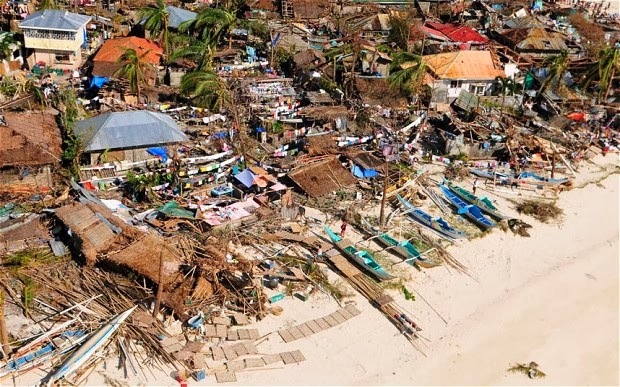 The typhoon barrelled through six central Philippine islands on Friday, wiping away buildings and levelling seaside homes. Most of the deaths and destruction were on Leyte Island, where Tacloban is located.